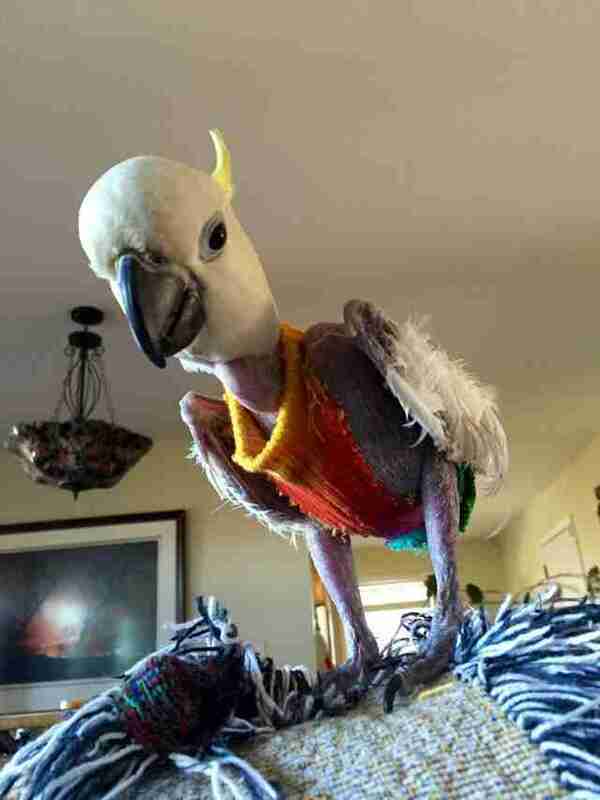 She was once so anxious and neglected that she turned her beak on herself, tearing out all the feathers she could reach on her tiny body, rendering herself almost totally bald. 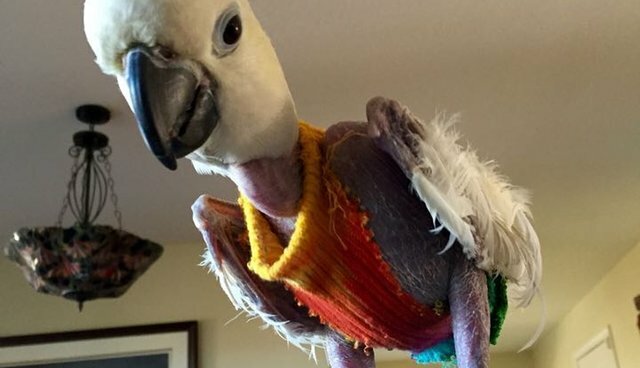 Now she's got a new life at a sanctuary for others birds like her - and she's rocking it in tie-dye. Javi was once named Hobby, which is how her old owners saw her - just an activity to pass the time. But since moving to Tallgrass Parrot Sanctuary in Kansas, her life has become much more colorful, as she's learned to trust people again. Recently, she told rescuers, "I love you," totally melting their hearts. It's hard to believe that this is what Javi used to look like, when she arrived at the sanctuary earlier this fall. Javi also has some basic white sweaters that help keep her warm. "She cracks me up," Kail Marie, director and co-founder of Tallgrass Parrot Sanctuary, told The Dodo. "I swear she loves 'dressing up.'" Only time will tell whether her feathers will grow back, but until then tie-dye seems to suit her vibrant spirit perfectly.